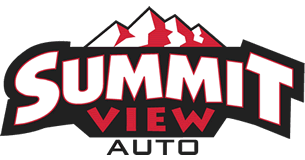 Summit View Auto is a used car dealership on West Ridge Road in Spencerport. The dealership is owned by Andy Marcucci, who also owns Ridgeview Motors, a car dealership and repair shop, also located on West Ridge Road in Spencerport. 2009-09-29 16:30:51 I bought a car here two years ago - a used Audi A4 Quattro. The car is in terrible shape, with many hidden problems and broken promises. The car was supposedly in good working order, but the check engine light came on as soon as I was on the Thruway. No fix has ever been issued. The same with the radio - it appears to have an electrical short of some kind. The trunk no longer opens. The only quality here is the quality of the scam these people are running. I have a report on file with the BBB that was never answered as well. Stay far away. Their unwillingness to respond to a BBB complaint should be a huge indication of their business practices.